Rich Greywolf is excited to start his journey at TISA as the new director. Rich has over twenty years, experience working with children in a number of capacities, including time spent with Boys and Girls Clubs, children’s theater, at-risk youth, Outward Bound Expeditionary Learning, and diverse populations on the Cherokee and Navajo Reservations. Richard Greywolf has bachelor degrees from FAU and UNCA Asheville in Theatre Arts, English Literature, Teaching pedagogy; a Masters in Special Education and post graduate studies in Educational Leadership at NMSU, Las Cruces. Outside of school, Rich savors time with his family and relishes any opportunity to showcase his many theatrical talents on stage. Rich has directed and played numerous roles in local and professional theatre productions. Most recently, he played Macbeth, in Teatro Serpiente’s production this past April. Rich Greywolf has been in the theater for 20 years as an actor, singer, director, writer, producer, comedian, and raconteur. 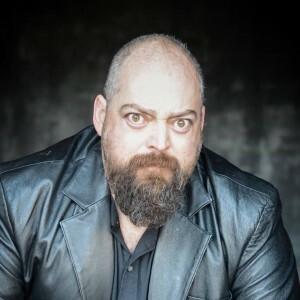 He has performed in South Florida, at the Bailey Hall, Hollywood Playhouse, and Hollywood Playwright’s Theatre; in North Carolina, at the ACT, HART, and 35 Below; and in Taos, New Mexico at Working Class Theatre, Taos Mesa, KTAOS, Metta Theatre, TCA, and Harwood. If you would like to contact Rich Greywolf, please e-mail him at rgreywolf@tisataos.org.